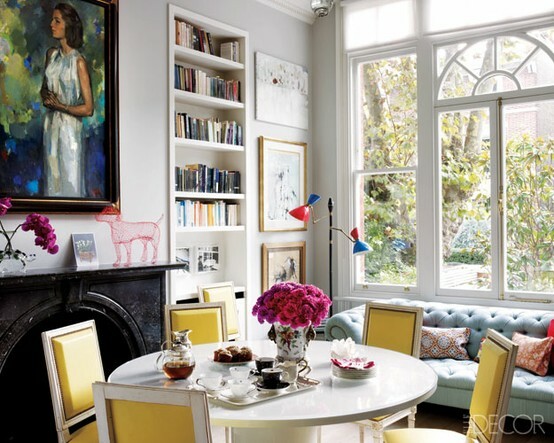 While I enjoy looking at bold rooms from an aesthetic point of view I prefer my actual living space to be balanced between neutral and colorful. 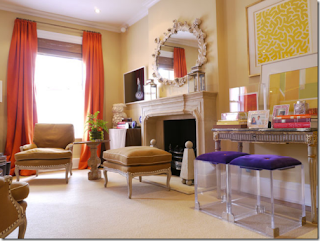 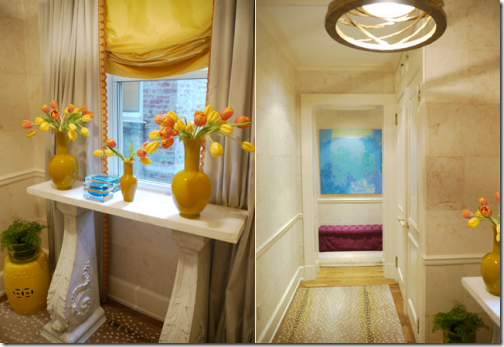 This is one reason why designer Amanda Nisbet's Manhattan apartment has been unforgettable to me. 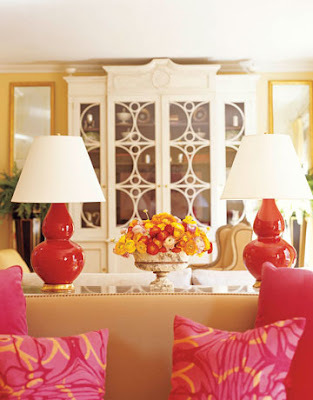 What I love best about the formal living room is the Christopher Spitzmiller Aurora double gourd lamps. Brightly colored lamps, pillows and curtains are a perfect way to bring a little pop of color to an otherwise neutral room. I'm not particularly fond of the color orange but I love what she's done with it. 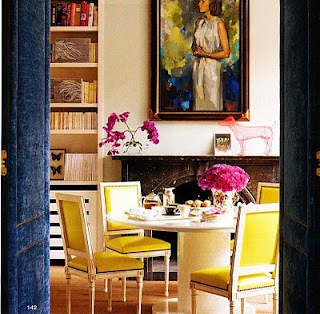 The following dining room images are not part of Amanda Nisbet's apartment but they show how certain rooms can maintain that balance between neutral and bold color well.